Can’t quite believe I’m awake at 04:30 this morning a full hour and a half before I’m normally up and at ‘em/ Looks like we’re going to have more rain on this day in Cape Town. 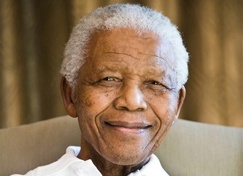 It’s Mandla Day today, remember when Tata Mandela so famously said in the 2008 at his 90th birthday celebration in London’s Hyde Park when he said: “It is time for new hands to lift the burdens. It is in your hands now.”, Then in November of 2009 the United Nations officially declared 18 July as Nelson Mandela International Day in, recognising Tata Mandela’s “values and his dedication to the service of humanity” and acknowledging his contribution “to the struggle for democracy internationally and the promotion of a culture of peace throughout the world”. Tata Madiba spent 67 years making the world a better place and many adopted the clarion call to devote 67 minutes of personal time doing something that makes a difference to those who are in need, it’s a small sacrifice of ones personal time to do something that will be of greater worth to those who receive this personal gesture in solidarity with all from the global village who are doing the same thing. Rudy Nadler-Nir will be behind the mic presenting The Latin Side with his usual charm and wit, sharing his huge passion for Latin music. After that our compiled show, 5th Floor Jazz, takes to the streaming waves and features an upbeat mix of Smooth, Fusion and Funk jazz to starts the weekend off on a high note. The Klutz in the Kitchen just simply loves Bobotie, he searched far and wide and has found a really wonderful recipe with a twist of this favourite South African comfort food. It’s an exciting take on this classic dish, go check out the recipe on the All Jazz Radio website. Pastis in Constantia has Keith Macfarlane and Alan Bowen better known as Nosa Vida play from 7.30 to 9.30pm. The Crypt Jazz Restaurant at 1 Wale Street in Cape Town from 8.00 to 11.00pm C.A.T hosts Abigail Petersen (vocals), Andrew Lilley (piano), Dave Ridgeway (bass) and Simon Annett (drums). The longest running music club in Cape Town, the Barleycorn Music Club meets every Monday at 20h00 at Villager FC, 11 Lansdowne Road, Claremont. Entrance is (usually) R20 for members and R30 for non-members. A full bar and pub food kitchen are operational at the venue. For directions and more info, visit http://www.barleycorn.org.za or find us on Facebook (Barleycorn Music Club).Their SONGWRITERS’ COMPETITION is now running, entries close 4 Aug, there are over R 24 000 in prizes this year, more info and entry forms at The longest running music club in Cape Town, the Barleycorn meets every Monday at 20h00 at Villager FC, 11 Lansdowne Road, Claremont. Entrance is (usually) R20 for members and R30 for non-members. A full bar and pub food kitchen are operational at the venue. 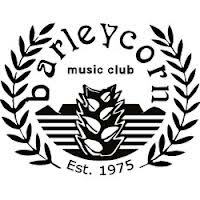 For directions and more info, visit http://www.barleycorn.org.za or find us on Facebook (Barleycorn Music Club). Tova Luck, Zack Smith, Hatchetman-1 and Seed will be playing. Pete Douglas, founder of the world-renowned music and jazz club, the Bach Dancing & Dynamite Society in Half Moon Bay, Calif., died peacefully in Miramar Beach on July 12, 2014 at age 85. 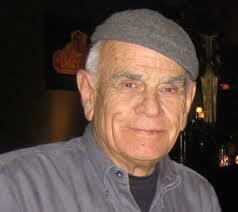 Pete Douglas was born in Waukegan, Illinois, in 1929. He and his family moved to the Los Angeles area in the 1940s after his father died, and his teenage years were spent growing up in Manhattan and Hermosa beaches. Soon, Douglas became engrossed in the city’s jazz scene, hanging out in jazz clubs listening to swing, early bebop and the cool sounds of West Coast jazz at such clubs as the Lighthouse Café. Douglas graduated from the University of California Santa Barbara with a sociology degree in 1955, after serving in the Army in the Korean War. 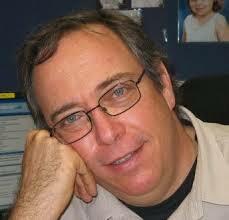 He married and moved to San Mateo County as an Adult Probation Officer. Pete Douglas soon purchased an abandoned beer joint on the ocean in Half Moon Bay called the Ebb Tide Coffee Shop. By 1958, Douglas was inviting beatniks, local artists and Coastsiders into his joint, hosting private impromptu music jams and ceaselessly renovating his building and music room, which eventually evolved into the Bach Dancing and Dynamite Society. After becoming a registered non-profit for the musical arts in 1964, Douglas began presenting regular jazz and classical programs to the public. National and local jazz luminaries such as Betty Carter, Bill Evans, Stan Getz, Duke Ellington, Count Basie, McCoy Tyner, Bobby Hutcherson, Art Blakey, Cal Tjader, Vince Guaraldi, Etta James, Dexter Gordon, Dizzy Gillespie, Max Roach, Freddie Hubbard, Benny Carter, and Milt Jackson, to name just several of thousands, played at the Bach over its 50-year history. 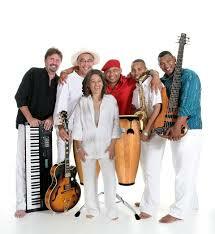 Notables in the classical music world such as the Kronos Quartet and Mariano Cordoba performed as well. Pete Douglas gave the Bay Area and Northern California a much-needed alternative and distinctive venue in which local and touring musicians could perform. As the San Francisco Clubs in North Beach were closing down in the late 1960s, the Bach was a perfect beach experience that reflected the nature of the curator. Douglas is survived by his daughters, Linda Tichenor, Barbara Riching and Virginia Castillo and grandsons, Tony, Aaron, and Andrew Ackerman and Maxwell Riching and his granddaughters, Chelsea and Tina Castillo, and several great-grandchildren. Additionally, Pete is predeceased by his brother John “Jack” Douglas and survived by his brother Roger Dial. In addition to Pete’s family, Pete was loved by his many jazz supporters, including his right-hand manager, Linda Goetz. 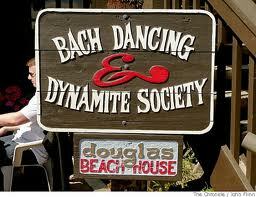 A memorial will be announced on the Bach Dancing & Dynamite Society’s website at http://www.bachddsoc.org where memorial donations may also be made to the non-profit organization.